Thanks to Doctor Of Credit for this post idea: convert Bank of America cards to the Better Balance Rewards card. I want to present to you about product changing with Bank of America. I was turned down from product changes and now that I’ve done it, and have had enough requests I have come up with a hypothesis that I wanted to share with you. I have pretty much reached the max of new cards I could apply to and will not be able to test this, hence writing about the idea before I can test it. This is also why I have been very poignant in telling people don’t believe the crap that comes out of the customer service representative that you speak to at Bank of America. I’m looking at you @roxymartini, keep trying! In late December 2014, I tried the product change from Alaska Airlines and was unsuccessful for a Better Balance Rewards. Because I was declined, I shopped around for other Bank of America cards. I came across the Merrill Lynch Accolades card. It sounded pretty awesome when it first launched then I found out it was watered down to nothing. I tried product changing to it and was declined. I also tried for the Merrill+, but that too was shot down. For each of the Merrill Lynch applications, I learned that if the Bank of America representative attempted a product change, they would find a way to submit a request for you to product change, like this email. I received 2 for each of the Merrill Lynch changes. In March, I tried again for the Better Balance Rewards and it was a no go, so I converted it to a Travel Rewards card. Then in June I tried it again and was successful. If we look at the Alaska Airlines card that every one has and wants to get rid of after the first year, we see that it is a Visa card. But if you look at the first screen shot, the Better Balance Rewards is a MasterCard. My belief is that Bank of America is purposely making it difficult for the front line representatives to product change because from a Visa to a MasterCard. I suggest converting the Alaska Airlines to a MasterCard first like the Susan G. Komen Credit Card. Then try again in a month or so and ask for a Better Balance Rewards card to increase your success rate. But the travel rewards card you converted was a Visa as well so not sure how you’re supporting your theory. I converted 5 Alaska cards 2 years ago to BBR Visa to Visa, no problem. Then they changed their policy (or got more strict) and it has not been possible for me after many calls. But if your theory is correct, then one should be able to call BofA and simply ask, “what card CAN be converted to a BBR, if not Alaska?” Someone wanna try? I agree with Kent that it seems impossible to product change to the BBR. I have tried at least 5 times to change my Cash Rewards to it and have had no success. Has anyone been able to recently? Did you mean to write an “old, basic no-rewards card” is the only one that they DO allow to product change to the BBR? Otherwise your last comment doesn’t make much sense. Don’t see the logic in your comment either J Grant. But thanks for calling. I tried to convert AS to BBR a few months ago. The first CSR I talked to was very friendly and tried to do it by submitting a request since BBR was not an option. I actually thought it was going to work. A day later, I received a voicemail asking for me to call back. The next person I talked to said I would forfeit the AS signup bonus. After I said that was fine, they said they couldn’t do the product change after all. For some strange reason, a few weeks ago, my AS card was converted to a Cash Rewards card (I think it was Visa, not MC though). I tried to change my Travel Rewards card (which was changed from AS previously) to a BBR about 7-8 times already. 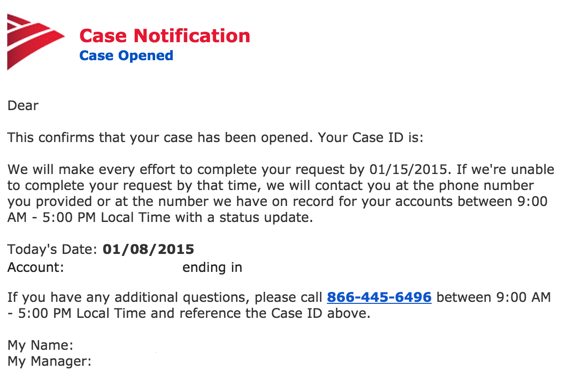 The last couple times I was successful in convincing them to open a case and submit a manual email request. However…I would then later receive a letter in the mail saying my request was denied. One rep told me that I can’t change to a “lower level” card like BBR, I could only change TR to Cash Rewards. (smh) Whatever, lol. I ended up just applying for another AS card and threw in a BBR application too to combine the hard pull. When it comes time to downgrade the AS card, I will give your trick a try. In the meantime, maybe one of these days I’ll open up a BOA account and actually start using the TR card in conjunction for the 2.25%! This is typical. Happened to me where the rep actually went through the process asked questions, and so on, said yes you now have a BBR. Then got letter saying no way, in no uncertain terms. Apparently the reps can’t actually make the change or have the authority to make the change. They can put a request in but it does no good once their system rejects the request. If someone does report they were approved by a rep, it does not mean a conversion is certain. They may have posted to quick in their excitement. Not that approvals weren’t done before. I successfully converted 5 Alaska’s over a year ago to BBR and I/wife do receive $150 every 3 mo due to the additional bonus of having a checking account. No luck since then (about 7 attempts). Someday they may lighten up and change the rules again. I like your idea of doing 2 cards at once, but are you sure 2 hard pulls weren’t actually done? I’ve heard some issuers will combine applications into one pull but others won’t. Not sure of BofA. What is an AS card? Does it have a decent signup bonus? I am considering applying for the BBR in the next month or so. How do I go about combining the hard pull between multiple BAC cards? Is there any negatives to applying to more than 1 BAC card in the same day? If you apply to 3 or more that day will it still use only 1 hard inquiry? I just product changed my Cash Rewards Platinum Visa to a BBR card two weeks ago via secure chat with no problem at all. They never opened a case or anything. I’m in NY and have been a customer for 10 years if that has Abby impact. Have you actually received the BBR card though? Others have said they were told it was done before receiving a letter that it couldn’t get done. I tried once through chat and will probably try again since you had success. I just tried to convert via chat and was actually told “We are no longer changing accounts to the better balance rewards program, as we are discontinuing the program.” No idea if this is reliable info, but interesting/upsetting if it is true. In case it isn’t true, I decided to do an experiment to test your theory (since I also previously tried calling in multiple times to convert to BBR, I’m happy to try anything else that might work!). I converted three AS cards, one to a Travel Rewards (Visa), one to a Cash Rewards (Visa), and one to an MLB card (MC). Once they come in I’ll try again to convert each to a BBR card, and we’ll see if I am successful with any of them. I’ll follow up whenever I have an answer! Did the rep say it was going to be discontinued for everyone or only new applicants? If existing members are spared I will need to apply ASAP to get locked in. The only follow up question I asked was whether it is still available to new applicants, and he said yes. No idea beyond that. Update: The conversions to Travel Rewards and Cash Rewards were successful but the conversion to the MLB card was not. The CSR on the phone told me that this is because they can’t convert directly from one affiliated card program (i.e., Alaska Airlines) to another (i.e., MLB), and suggested I convert it to a regular Cash Rewards card first and then try again. I am going to give that a shot. If that isn’t possible though, that would support your assumption about Visa to MC conversions being the problem. 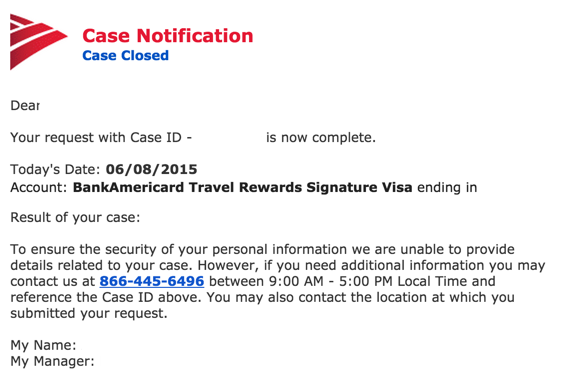 About two months ago I first called BOA to try to convert my Cash Rewards (visa) to a BBR. I was shot down, like the rest, the first 8 or so times. I let it rest for about a week and then called again. I reached a representative that said it was no problem and he submit the request. I got an e-mail and a letter about 2 weeks letter saying I had been approved for the product change. A few weeks after that I received my BBR visa card in the mail. It seems persistence in the key. Do you think being a BOA Preferred client would boost the chance of PCing to the BBR? That’s a great question I’m not sure. If you find out, be sure to let us know!